Susan Fulmore was brought up in the evangelical tradition. She explores her inheritance, of rooms unused, of spaces she had not sat. The full house has been calling her. My inheritance includes a heritage home. 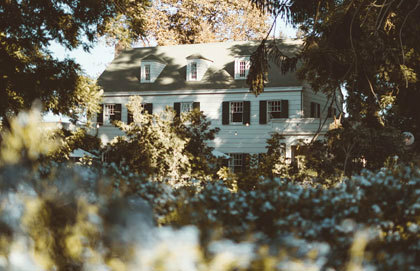 It sits on a beautiful although somewhat overgrown property with gardens overflowing with roses, peonies, daisies, and delightfully scented phlox. The house itself is stately and solid, yet showing the wear of many years’ battle with the elements. The stones are worn in places, metalwork shows signs of rust, paint is flaking in other areas; the patina of having stood the test of time. This home feels like a sanctuary as you enter. The luxurious carpet softens your footfall and extends a welcome. The living room has floor-to-ceiling windows overlooking an expanse of lawn and old growth forest. Chairs and couches beckon you to sit and rest, enjoy a coffee and the view. From where it is situated, this room would be cool in the summer and sheltered from the winds in the winter. A library is next door with its high-ceilinged rows upon rows of books handed down from past generations. These volumes contain wisdom of the past; read, appreciated and passed on. The scent of old volumes and worn leather fills the room and whispers an invite to linger. Embossed velvet draperies create a cocoon for the reader. Down the hall is the conservatory, tropical in feel with a profusion of plants, the smell of rich soil, trickling water features and the warmth of the sun. This is a place to ponder and to care for the living things growing here. An expansive modernized kitchen has been carefully planned to have beautiful spaces for working as well as sitting down to enjoy the fruits of one’s labour with friends and family. Original carved wooden cabinetry, marble counter tops, glistening fixtures, a mix of the old and the new is pleasing in every way. Up a wide carpeted winding staircase are the three bedrooms. All are spacious and speak of understated luxury. The master bedroom is a cloud of misty greys and blues with mounds of sumptuous cushions on the bed and settee. It speaks of calmness and serenity, a place of rest and refuge. All of this has been left for me, but I live only in the kitchen and master bedroom. The other rooms are locked up, and never entered. This is a picture of how I feel growing up in the evangelical church. I was brought up in the evangelical tradition and appreciate the ways it taught me to love God and others. It showed me that God was approachable and real. Belonging to this branch of Christianity schooled me in spontaneous expressions of worship and prayer. It also tried to make everything explainable and defendable. I did not sense of the “mystery” of God, His holy “otherness,” nor did I see a celebration of the beauty of God. I understand that the beginning of the Protestant movement was a reaction to the abuses and excesses that were occurring in the Church at the time. A departure was needed, but perhaps we went too far. It seems that much of the beautiful and rich inheritance we have in the history of the Christian church was ignored, often looked upon with suspicion and even shunned. It was not until I was in my 40’s that I heard about the concept of Advent and thought of Lent as something that is open to those outside the Catholic tradition. I hold a degree in Religious Education, but I did not receive a very broad range of teaching. Some of the things that have stood the test of time such as Lectio Divina, Examen, observing the church calendar and Sabbath, contemplative prayer, and meditation have been kept locked away and I have only had access to a small portion of my riches. I have only just begun to open the doors to the other rooms occupied by my brothers and sisters from the more liturgical branches of Christianity. For instance, I am finding that the practice of holy reading (Lectio Divina) opens up a whole new level of meaning to Scriptures that I may have read numerous times. If my more traditional fellow believers have practices that draw them into deeper intimacy and dependence on God, then I want to incorporate these into my life. There is a beautiful sense of rootedness that comes from participating in practices that have blessed believers for over 2,000 years. Different ways to celebrate the Eucharist only add to its significance. Knowing that millions of Christians from all branches of the faith are preparing along with me for the coming of Advent or Easter reminds me of my place in the holy catholic church. While remaining in my local evangelical church I am choosing to read from the vast library of wisdom left by those who have gone before, and those considered to be outside of my brand of the faith. I am choosing to embrace my complete inheritance and seek to experience the full riches available to me and to enjoy the communion of all the saints. She is a wife, a mother of two, a grateful wanderer of places local and far flung. 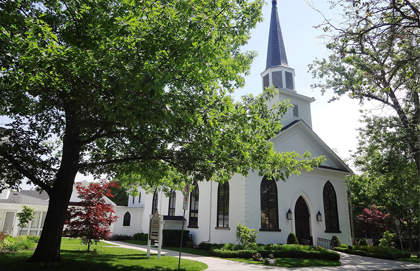 St. Andrew’s Roman Catholic Parish in Oakville, Ontario celebrated its 175th anniversary two years ago through a fundraising campaign to help the Diocese of Cornerbrook and Labrador, whose priests spend much of their time traveling to far-flung missions to minister to the faithful. 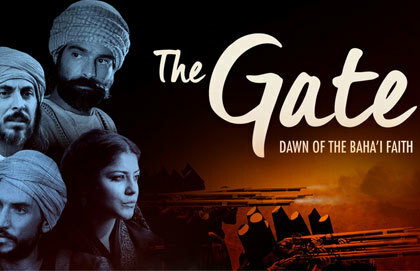 This was a fitting means of celebrating their anniversary since St.
Geoffrey Cameron reviews the film The Gate: The Dawn of the Bahá’í Faith, the first cinematic attempt to portray the life, history, and teachings of The Báb. There are challenges in interpreting the lives and teachings of Prophets and Messengers of God, he writes. 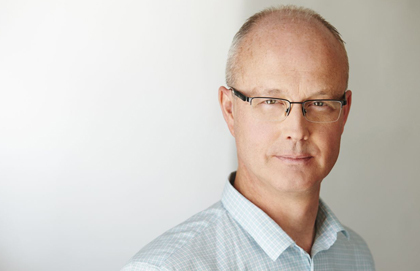 David Peck, founder of SoChange, sees his faith through a globalized lens. That means avoiding the exclusivist reflexes so many Christian churches have these days. His desire? "to get six billion faith-based people of the world on the same page when it comes to things like eradicating extreme poverty."